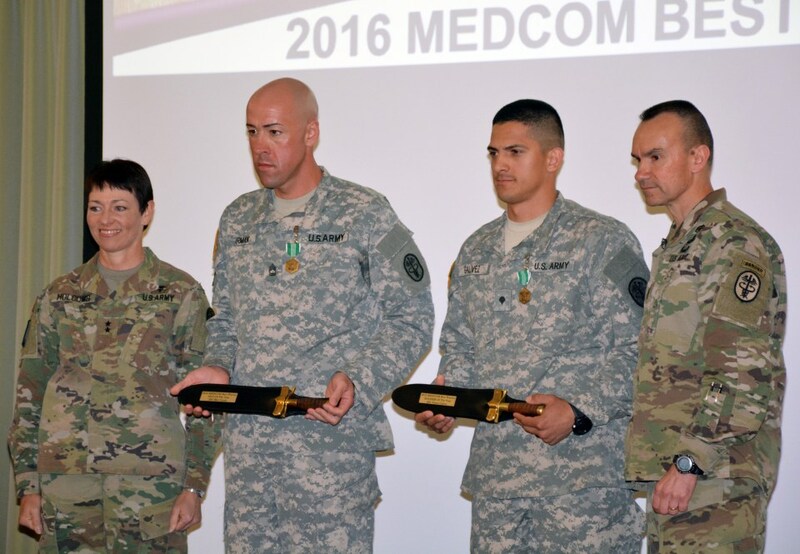 Museum Foundation awards prizes to MEDCOM 2016 Best Warriors Specialist Victor Galvez and Sgt. First Class Ilker Irmak, both from the U.S. Army Medical Research and Materiel Command, were the winners of the 2016 Best Warrior Competition held at Camp Bullis, Texas May 2-16, 2016. Among the prizes awarded to SPC Galvez and SFC Irmak were replica 19th century Hospital Steward knives from the Museum Foundation.